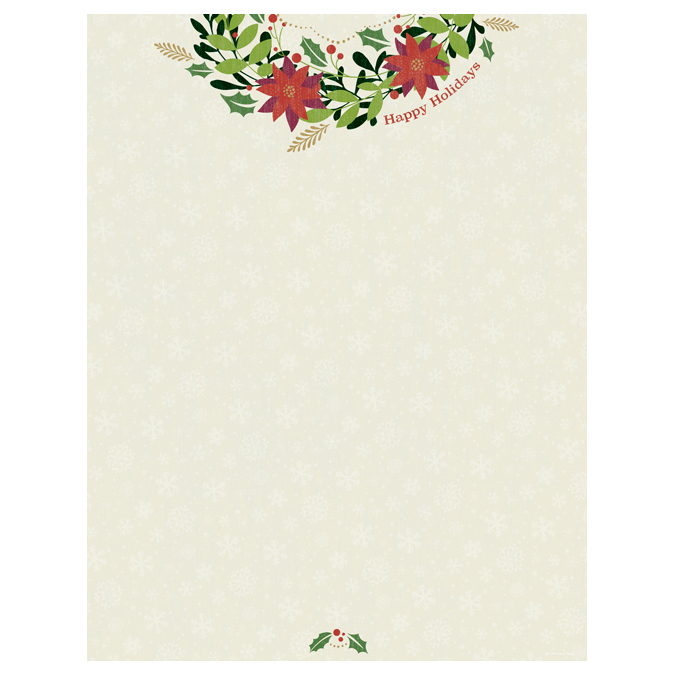 Our Poinsettia Swirl Christmas Holiday Printer Paper is perfect for use as sales flyers, holiday newsletters, Christmas letters, holiday menus, announcements and much more. 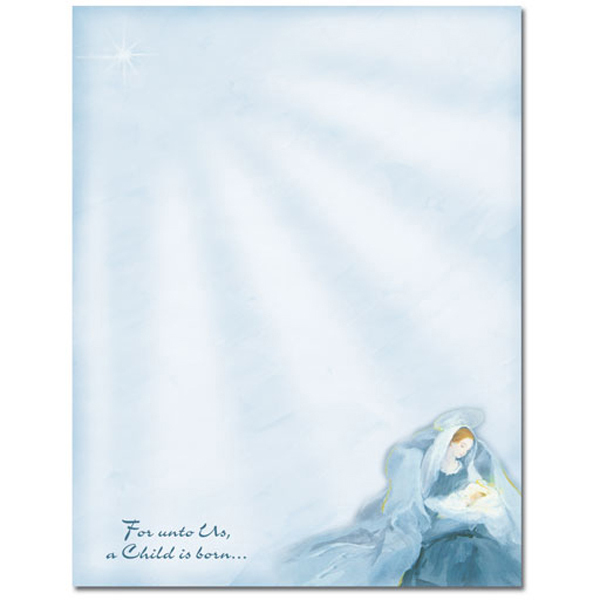 Easily imprint your own message on our beautiful full color pre-printed laser and ink jet printer paper stock. 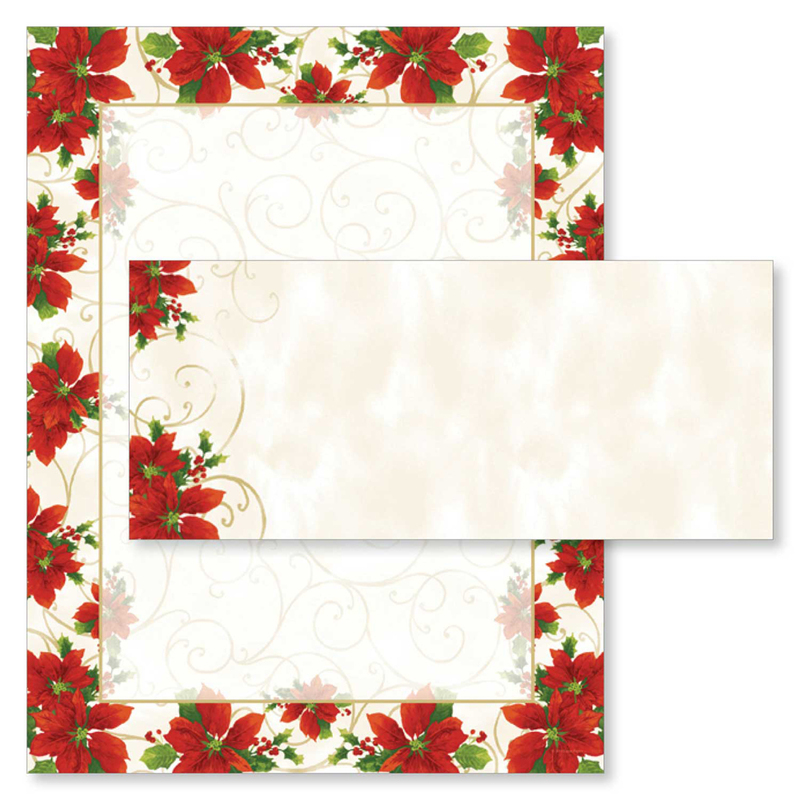 This computer printer paper features a beautiful poinsettia and gold swirls, perfect for Christmas, with plenty of room in the middle of the sheet for customizing with your own message. 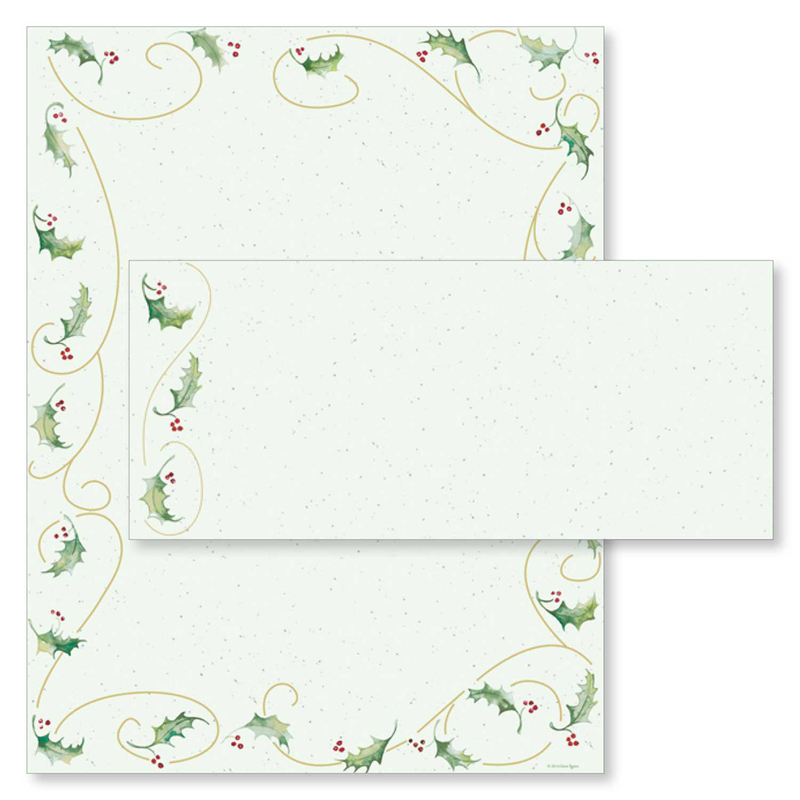 The 8 1/2″ x 11″ stationery paper runs smoothly through inkjet printers, laser printers and copiers.